Experience dusk in the hills, after dark take in the splendour of the night sky, wake up to the early morning light over the hills when nature is at its busiest. We have the camping gear for you so all you need is your enthusiasm. Try the following. Valley camping: Set up the equipment in a low lying area, hike for the day and return to your tent for the night. A great way to get used to the gear and the whole camping experience. Wild Camping: Walk for the day, pick up your camping gear at a designated spot. Spend the night in the hills and continue your journey next day. We look after getting the camping gear there and back for you. Backpacking: The real thing. Pack up all of the gear you will need and set out for 2 or 3 days in the hills. Enjoy the feeling of independent living close to nature. We provide all camping and hiking gear as well as all food. Charge for a 2 day camping trip is €250 per person, discounted to €188 for Club members. 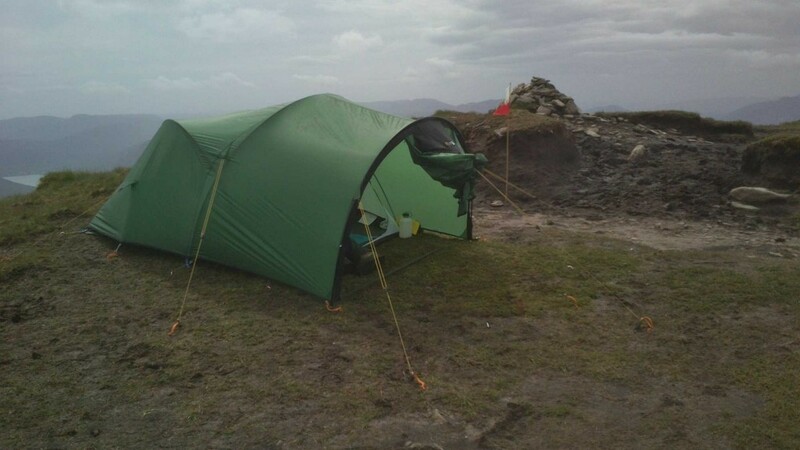 Charge for a 3 day camping trip is €350, discounted to €263 for Club members. The Explore More team can provide one of our regular routes for you or we can help you to select a route to suit your groups’ needs and interests.